The Final Season of Game of Thrones starts tomorrow in the US and on Monday (at 2am) in the UK – with the hyper surrounding the much anticipated series, it’s the perfect time to play the official Game of Thrones slot game which offers wins of up to 20,250 times your stake on each free spin! 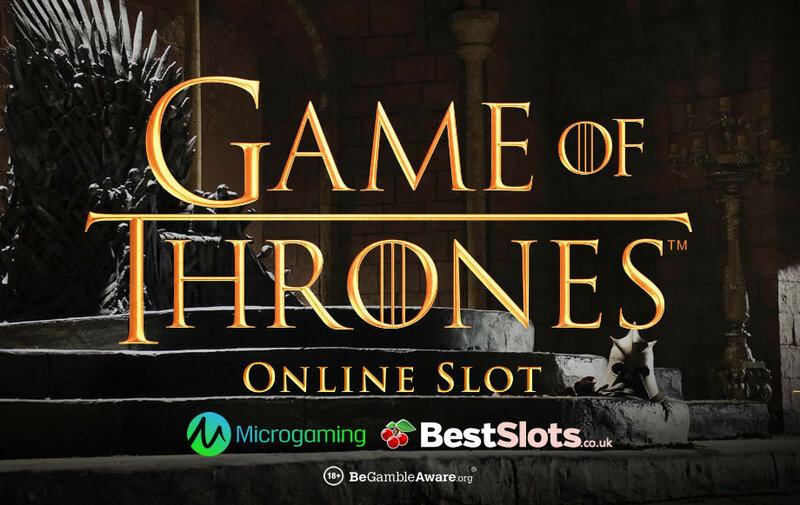 Powered by Microgaming, there are actually 2 Game of Thrones slot games – there’s a 15 payline and 243 ways to win version. I recommend the 5 reel, 243 ways to win slot game as it’s more volatile and offers bigger potential wins. When you fire up the game, the infamous theme song plays as you spin the reels. 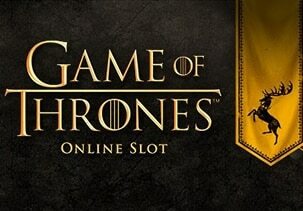 Playable from just 30p a spin across all devices, look out for the Iron Throne scatter symbol as 3 or more will give you access to 4 free spins features – each based on the Houses of Westeros. The Lannister Free Spins feature gives you 10 free spins with a 4x multiplier and 4-symbol stacks of the Lannister shield. The Stark Free Spins feature reward you with 14 free spins with a trebling multiplier and a 5-symbol stack of the Stark shield. The Targaryen Free Spins feature gives you the most free spins, 18, with a 2x multiplier and 6-symbol stacks of the Targaryen shield. The best is the Baratheon Free Spins feature where you only get 8 free spins – with 3-symbol stacks of the Baratheon shield, there’s a massive 5x multiplier on offer. With any of the features, they can be retriggered to give you double the amount of free spins in total. I recommend you play Game of Thrones (either the 15 payline or 243 ways to win versions) at SlotsMillion CasinoSlotsMillion Casino who have over 1,800 slot games! With excellent customer support, same-day cashouts and a lock your withdrawal service (so you’re not tempted to play with your winnings), make your first deposit to get a 100% bonus up to £100 – you’ll also get 100 extra spins (20 per day on various Net Entertainment titles).